~Are you pretending to be happy and don’t know who you REALLY are or what you REALLY want and DESERVE? ~ Are you afraid to be yourself for fear of being judged? ~Are you scared to speak up for yourself and ask for what you want? ~Are you tired of being a people-pleaser that doesn't like saying 'No'? ~Are you fearful of rejection and want everyone to accept and validate you? ~Are you sick of “following the leaders”? ~Are you ready to stand taller and prouder? ~Do you want to take control of the negative voices in your mind that make you feel bad about yourself? ~Are you struggling to find time to take care of yourself and to do the things that matter to you? ~Are you ready to take off the mask and step out of your shell? ~Are you tired of being the door mat and ready to be the door PRIZE??? Confidence is the foundation for everything in life and our confidence (or lack of confidence) directly affects HOW we do everything in our life. Self-confidence is extremely important in every aspect of our lives, yet so many people struggle to find it, because it is not taught to us, and THAT is why I started my business as a Confidence Coach for women 10 years ago. I know what it is like to be consumed by fear and frantic thoughts, that ultimately take over the mind and body. I used to be incredibly scared of speaking in front of people. (Hard to believe, if you have met me!) Now, I love giving presentations and speaking to large audiences. I find it very empowering! I have learned and applied the skills and tools to be able to overcome my insecurities. Whether building relationships with other people, or standing up for yourself, voicing your opinion, talking to people of authority, or giving a presentation, a lack of self-confidence will most certainly affect the outcome in all of these situations. Do you want to know what it feels like to have complete and unconditional trust and love for yourself? Do you want to experience how amazing it feels to be unattached to the opinions and criticisms from other people? I used to be consumed by the thoughts and opinions of others. Doing so is very destructive and puts a choke hold on your self-confidence. The other day I was in the mall, shopping for some jeans. I stopped into a store, found a pair I liked and went to the fitting room to try them on. I could not help but overhear a conversation between two women in the next room. One woman kept asking, "Do you like this on me? Should I get them? I like them, but what do you think?" The friend approved and told her that she should buy them. Then a couple minutes later the woman replied "Actually, I don't think my boyfriend will like them, I better not get them." My heart ached for that woman. She was giving her power away to the other people in her life and didn't even realize it. In seeking approval from her friend and trying to please her boyfriend, she was allowing them to make decisions for her. Have you had such conversations? Neglect your self-confidence and you will limit your happiness and success. And by default you will give others control over your life. YOU deserve to have control of YOUR life! The only way to live the life your dreams is to take charge and make yourself the priority. You must determine what you really want and have the courage to stand up and ensure that your voice is heard. You really do deserve to be respected and appreciated by the people in your life. You already know that deep down that your opinions DO matter. I will help you discover and understand The 10 Components of Confidence. The very first component is self-awareness. This crucial knowledge about yourself is imperative in building absolute confidence. You want to be able to trust yourself. If you do not know yourself, how can you trust yourself? Do you know all aspects of yourself? Have lost your zest for life? Are you searching for your life purpose? Does your voice go unheard? Do you shy away from social situations? Do you keep quiet for fear of not being accepted by others? Do you take care of everyone else's needs but your own? As women, we typically put everyone else's needs before our own. The above emotions are how 99% of all of my clients have felt. YOU are not alone. And I know EXACTLY how to help you with those negative and destructive emotions. NOW is the time for you to make YOURSELF a priority and FALL IN LOVE WITH YOURSELF! When was the last time you said: "I love myself." To develop absolute confidence you must develop that crucial love, trust and respect for yourself. I will help you gain awareness and insights into yourself and provide powerful exercises and tools that will assist you in moving forward. NOW is the time for you to discover your INNER STRENGTH! Don't waste another day and put off creating long-lasting change that will greatly impact you for the rest of your life. I will help you start living the life you dream of and become the confident woman who loves her life! Let me help you discover your authentic, CONFIDENT self. As your Personal Confidence Coach, I am also your Accountability Coach. I will listen to you, observe, and customize an approach to building confidence that is specific to your individual needs. I will teach you the absolutely essential confidence building skills, techniques and powerful tools while providing you with guidance and support to enhance the skills, resources, and creativity that you already have, while holding you accountable so you achieve your goals in the shortest amount of time possible. I will create a safe, supportive and non-judgemental environment that produces ongoing mutual respect and trust. I will provide knowledge and support to enhance the skills, resources, and creativity that you ALREADY have and teach you techniques that will fast-track you to becoming the confident woman you deserve to be! For all of my In-Person Clients, if the confidence challenges that you are faced with require us going out into the field and having me with you, side-by-side (and shadowing you) as I put you into the environment you are fearful of --that is what we will do. We ensure you are confident and prepared and have had the appropriate amount of Confidence Coaching, and then together we go out into the world and do real-life scenario Confidence Coaching. I have a "I'll do whatever it takes!!" approach to making sure that your Confidence Transformation happens. As your Confidence Coach I will inspire and empower you to achieve your greatest potential with a new found purpose and a heightened sense of enthusiasm! I will help you look at things from a different perspective while enabling you to make decisions from the inside, not through outside influences. I will be there to support you and to cheer you on! Coaching is a new popular professional service that has been in existence for about ten years. The philosophy of coaching is based on fundamental human principles of integrity, accountability, respect, and a belief in human potential. Coaching is a results-focused, collaborative and unique partnership between client and coach, whereby together we focus on how change happens, rather than concentrating on how problems develop. We work on moving you away from your problems and forward to your goals and solutions. The client sets the primary goals and focus area for each one of the coaching sessions. Coaching is different from a counselor or therapist, both of which help you with your past emotional and psychological problems. Coaching is NOT about how you got where you are now in your life by analyzing previous failures. Instead we focus on the present and helping you get from where you are now to a specific point you want to be in the future. Coaching is also different from Consulting because it is not about giving advice or specializing in a certain field. Coaching is about addressing the whole life of the client. We get you thinking about what you really want and need in your life. Hiring me as your Confidence Coach is an investment in yourself and in your future! My 1 on 1 Personal Confidence Coaching works! I have helped hundreds of people empower themselves and literally transform their lives. Are you ready to invest in yourself and change how you feel about yourself and your life? A lot of the personal development work that is out there doesn't work because they are teaching it from books NOT from experience. I live my life continuously pushing myself out of my comfort zone, facing my fears and constantly taking action. I offer solutions that WILL work. I solve your problems because I have personally been through them and know what it takes to overcome them. “Earlier this year I had ended a long-term relationship, left a job I had been at for several years, was tentatively trying out living in Vancouver. I knew that I wanted a change in life but was extremely unsure about every aspect of my life. I felt anxious about the future, was constantly re-visiting the past, couldn’t make a decision, and was struggling with my self-worth. I also felt very depressed. I had tried seeing counsellors and therapists, and found I only felt worse after those visits. 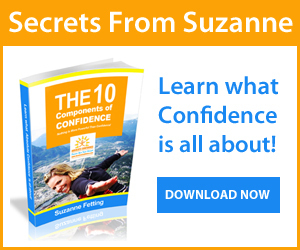 My sister reached out to Suzanne for me, and I agreed to check out her confidence coaching. I am so grateful I took the opportunity, because it has honestly changed my life. Suzanne has a unique way of approaching people who are in need of help – instead of focusing on the past, Suzanne worked with me to recognize and improve upon my strengths and capabilities. Suzanne helped me re-frame how I think about the past and how to control my anxious thoughts. I can now say I am fully present day to day and understand how to live in the moment. I have never been so happy and had so much fun in my life – while also feeling confident, grounded, and at peace. I am able to make large life decisions with more ease and can see the positive in every situation. Suzanne taught me the importance of halting the inner critic, thinking positive thoughts, finding and following one’s passion, and sending positive vibrations to the universe. Once I started practicing all this, doors suddenly started opening for me and life felt a lot easier. The feelings of confidence, joy and happiness returned into my life.s an absolute pleasure to work with. She is a brilliant example of a confident woman – she is unbelievably fun, extremely compassionate, incredibly smart … the list goes on and on and on. I would, and I DO, recommend Suzanne to everyone – if you are thinking about taking the step – DO IT. I know it’s hard to understand the process before having gone through it, but if you give Suzanne your commitment and trust the process – she will help you do wonders to take charge of your own life and help you become your true, authentic and confident self. I feel liberated… Thanks Suzanne! You rock!!" So are you ready to start living the life you dream of and become the confident you? Contact me today! Which type of coaching is best for you? The coaching relationship in certain ways, is a deeper relationship than you have with your closest friends. As your Confidence Coach I will always have your best interest in mind, I will actively listen to you, to provide support, and be completely honest. Chances are your best friends aren't always honest with you. My Confidence Coaching can ABSOLUTELY change your life, and open doors where you never realized doors existed before! Live, face-to-face 1 on 1, Personalized Confidence Coaching. This option is especially great if you are struggling with body confidence or social confidence. 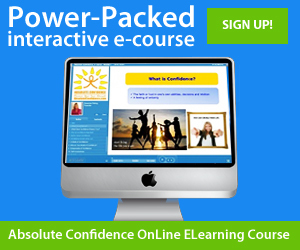 I will personally show you how to drastically improve your ABSOLUTE confidence. Each session is individualized and conducted face-to-face, which creates incredible results. I will personally guide you step-by-step based on your own personal confidence struggles. I will help you identify and eliminate your barriers, fears and limitations, refine your strengths and gifts, give you live demonstrations, as well as real-time, constructive feedback and evaluations. NOT LOCAL? No problem! You don't have to live in the same city or country to have me as your Confidence Coach. I have successfully worked with clients throughout North America with VIDEO SKYPE, email and over-the-phone. cost effective -not only will you pay lower coaching fees than when you would meet with me face to face, you also do not have to pay for any travel expenses. time effective -you will not waste any of your valuable time traveling back and forth, or get stuck in traffic, or look for a parking spot. If you are ready to create REAL and LASTING positive change in your life and become the confident you, please contact me right now. I’d be happy to assist you in determining which program would be most beneficial to you in your life right now. Don't waste another minute being unhappy, you are reading this for a reason 😉 I'm waiting to hear from you, and I'll be happy to give you a complimentary session! Or Jammie's other blog post HERE about overcoming her self-limiting beliefs. “I love Suzanne! She helped me focus on the things I wanted in my life, instead of the things I didn’t want. She helped me set goals in all areas in my life and kept me accountable to them. I’ve learned so much about myself over the last few months from my sessions with Suzanne. She really cares for her clients by being genuine and encouraging. Ladies, she is definitely worth the investment! "I'm grateful for having met Suzanne! In first coming to her for confidence coaching I was somewhat lost in myself, my values, my goals, all those vital things we need to be truly confident, happy and ultimately successful women. Through her dynamic, fun and engaging exercises, Suzanne helped me delve further into these things and I can say without reservation I have a much more clear vision of what these are. Suzanne is personable and knows her stuff! "Many, many thanks to you Suzanne, for giving me back my strength and my courage. As a 48 year old woman, I have gone through many challenges and heartaches. I was tired of talking to therapists who didn't empower me at all. You are goal oriented and solution focused. That is exactly what I needed. You have empowered me to change for the better, and I am so thankful. I'm going to enjoy yet another wonderful day, life is great! "Thank you Suzanne for bringing out the best in me. Since I have been working with you, you have impacted my life in so many positive ways. I know how to have confidence, how to gain confidence and how to keep my confidence. I am now much more motivated and determined to create positive change and be more confident in myself and my abilities." "I started a new career this past year and hired Suzanne as my coach to help me work on some of my professional and personal goals. It was so helpful to have Suzanne there to hold me accountable for doing the things that I needed to do to reach my goals, to talk to about any issues I was encountering that week, and to provide an objective second opinion when I needed it. Suzanne was very open and supportive. My sessions with her left me feeling hopeful and inspired. Thanks Suzanne!"